I haven’t eaten fast food from McDonalds or Burger King in years. That didn’t stop me from going there to buy the annual releases of McDonald’s hockey cards. The freckled face staffers would always make me order something in order to buy the cards. The order was simple, charge me for the small fries and a drink but don’t bother making it for me. Sometimes a very lucky kid or family would be the lucky recipients of the food and drink. The smell of the fries still brings back great memories when I used to eat there as a child. I just can’t fathom putting such unhealthy food in my body again. 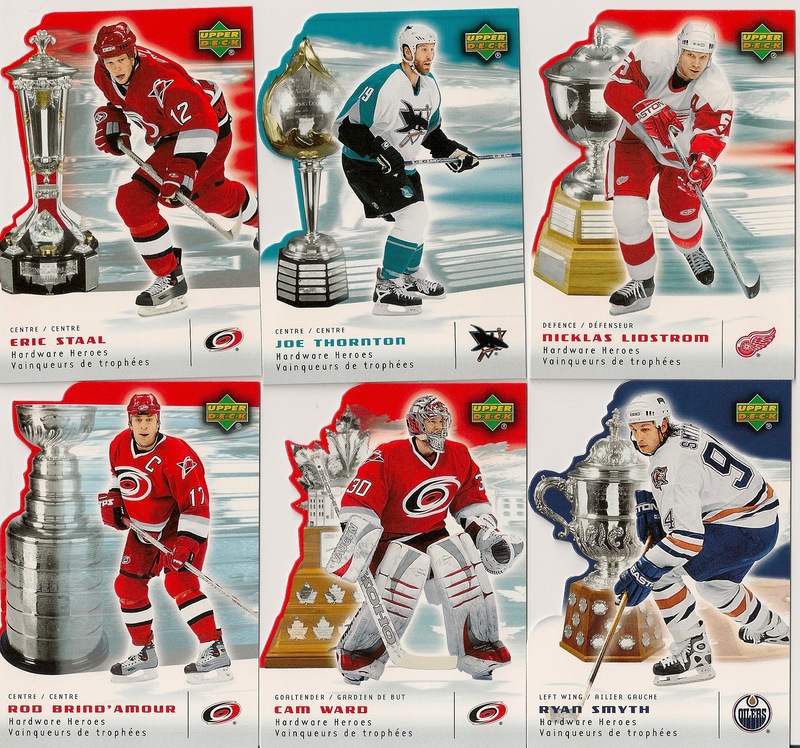 The hockey cards were so much fun to collect. Many of the autographs are still very much in demand because they were so hard to get. I just loved the cards. They were different, they were only available in Canada. They smelled like french fries. I would order several packs of cards at a time. My heart would be skipping beats. I was 12 years old all over again. In my twenties, I once made the mistake of attending a traders night and quickly realized I was the oldest person in the group by a good 15 years. Red faced, I left just as quickly as I had arrived. Lucky for me, I did manage to find people who were in my age group who also collected and wanted to trade to complete our sets. I never told my close friends about that incident. I was so lucky I went alone that particular Saturday morning. Here are some of the coolest cards made back in the day. Mind you back in the day was only a few years ago Haha. Once I get some scans of the older cards, I will post it up.